Uglyworld #2144 - Microwaverings Poppercorn - (Project Cinko Time - Image 341-365), a photo by www.bazpics.com on Flickr. 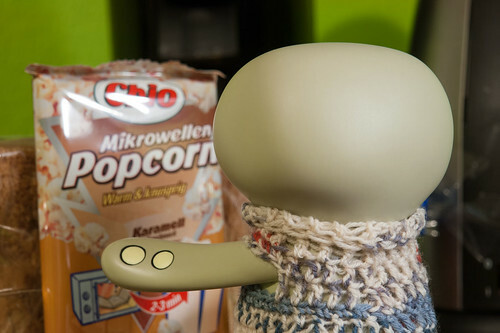 Ever since we gettereds the rests of our kitchener installereds I has been dyings to uses our newers microwaver to makes some microwaverings poppercorn, and tonights is the nights!! !